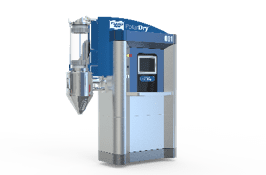 At Interphex, these companies will showcase a wide range of products and services aimed at research & development (R&D) projects, including fluid bed drying, spray drying, particle size reduction, tablet coating, high-shear granulation and vessel cleaning. These technologies can help users to improve and optimize processes, simplify scaleup and create customized solutions for challenges in solid-dosage processing. Specialty nozzles in both electrostatic and ultrasonic spray options are also among the offerings. — Spraying Systems Co. and Fluid Air, Wheaton Ill.